My name is Megan, and I am a first-time gardener who would love some feedback on my square foot gardening plan. 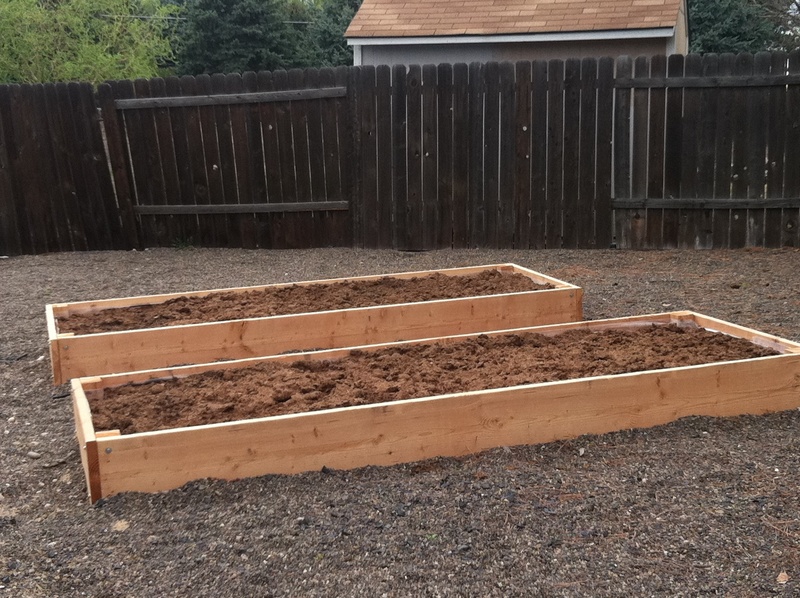 My husband and I built two raised beds (12 inches deep) and are excited to see them transform! I’ve been told corn is difficult to grow in raised beds. Is this true? Are there certain corn varieties that are better than others? I’ve dedicated nine square feet to corn- is this enough to get a good yield? I am also not sure on the spacing – some sources say 1 per square foot, others say 4. I am planning on planting the following seeds outdoors: carrots, lettuce, beans, cucumber, corn, marigold, nasturtium, and basil. I was going to plant onion sets, certified seed potatoes, and the rest store-bought transplants. 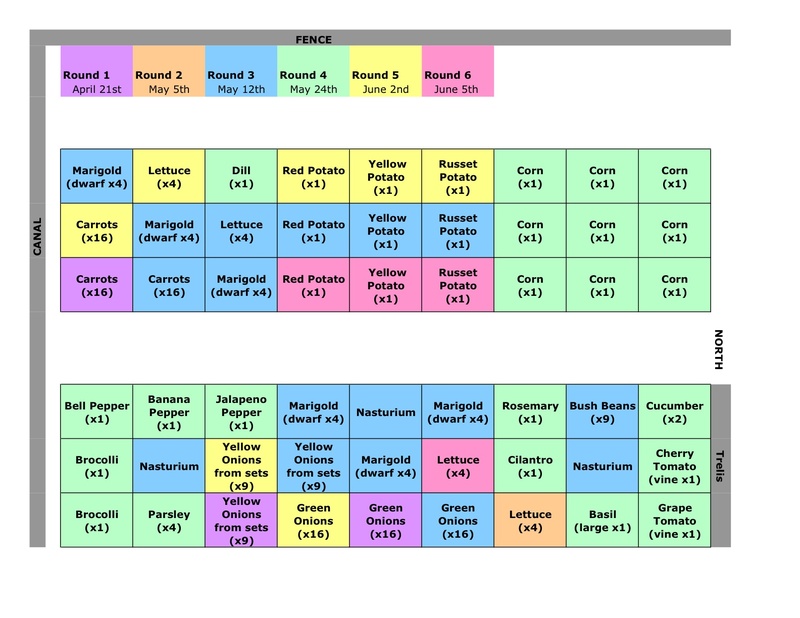 Are any of the crops I plan on growing from seed better as transplants or vice versa? I have tried to stagger the planting of certain crops (carrots, onions, lettuce, potatoes) to spread out the harvest. Did I go about this the right way? I am excited to get started and any advice would be very much appreciated! I agree, many veggies can be purchased so inexpensively, it’s hard to justify planting them. If you have a small space, you really have to pick and choose what to grow. That’s why I don’t do corn, but I still like growing my own onions. For me it’s not just the cost, it’s fun to watch it grow and I like eating out of my garden. I have learned that planting potatoes and onions is kind of a waste……they grow well, but they are so inexpensive in the stores, that I hate to dedicate so much space to them. I used that space to now plant more kale and other greens I use for my juicing. *Corn: the light, friable soil of garden beds is not very supportive for corn, and corn really needs to be at least 3 rows deep to pollinate. So 9×9 is the smallest space to give it. My friend grows 16 square feet of corn, and says she gets 1 to 1 1/2 dozen ears. Considering the time and space it requires, with relatively little harvest, I think you’re better served buying corn locally and planting other veggies. But try it–maybe it will be great! She plants the corn 1, 2, 1, 2. So plant one in the first square, two in the next, then alternate on the next row. It’s sort of halfway between 1 and 4 per square! I planted 4 per square when I grew it, and it was too close. 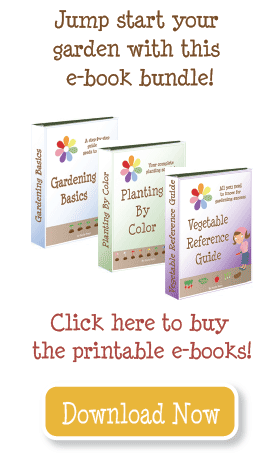 *Seeds vs Plants: your choices are perfect! You really must plant peppers, tomatoes, broccoli from plants. The others you listed are better planted from seed. And onions from sets, like you said. *Timing: plant the potatoes all at once. The way you “stagger” the harvest is to dig some up sooner than others. Be sure to read about how to plant potatoes in a square foot garden. *I agree that some of the flowers and herbs can be “interplanted” in the same squares, (put a few along the edges). You have allot of plants there that don’t (necessarily) require their own space, Unless you want quite a supply of them. Marigold, Nasturtium, Basil, Dill, Rosemary, and others depending on what you grow, can be companions to other plants, and thus planted within those squares. This will save you some space, let you grow some bigger crops in those free squares, aid in pest control, and potentially improve the taste of other crops. There are good reasons to companion plant. Be cautious about planting some things which may bolt in warmer temperature, such as lettuce. You should plant certain things that like today, right now, yesterday. Broccoli, lettuce, spinach and others may bolt in warmer temperature (usually above 68 Deg F), for most people planting those late in the season, or early spring is best because summer is just too hot for them. Others like Kale are more tolerant of heat, but keep it in mind.